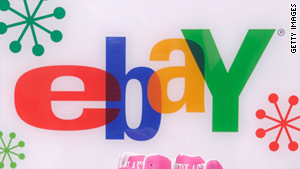 (CNN) -- Online auction giant eBay apologized Sunday for a daylong glitch that inactivated the search function on its Web site, and said it will compensate sellers for their losses. When shoppers searched for an item Saturday, the site returned limited or no results. Some shoppers found a blank page; some received a message that said, "We were unable to run the search results you entered. Please try again in a few minutes." The company said it had resolved the problems by Sunday. "We are happy to report that critical search functionality was restored overnight on Saturday, and we are seeing normal activity levels today," eBay Marketplace Operations President Lorrie Norrington said Sunday in a statement. The company's Web site offered various scenarios under which sellers could be compensated, including those with auctions that ended Saturday.